While a retaining wall can serve a purely decorative purpose, most are built for practical reasons. They are usually found on properties with steep downhill slopes. Over the course of time, erosion can send earth and debris shooting down these slopes, and that can spell big trouble if a house or other valuable element happens to be in the way. Thus, it can be said that the primary purpose of a retaining wall is to protect a piece of property from the natural effects of gravity. 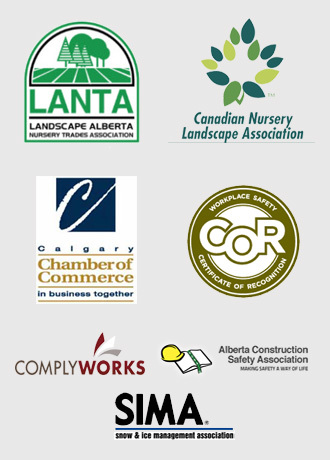 However, there are other reasons you may want to build a retaining wall in Calgary. Even if erosion isn’t presenting a threat to your home right now, it well might in the near future. The gravitational effects of sharp slopes might also destabilize your home’s foundation, either now or in the years to come, and retaining walls are a virtual necessity in these situations. Mirage Landscaping in Calgary are experts in installing and maintaining retaining walls in the city. While retaining walls are usually built to provide extra stability and support to neutralize the natural effects of gravity and erosion on properties with steep downhill slopes, they can also serve several other purposes. First, retaining walls can be built to increase the overall amount of usable land on a sloped property. These terraced retaining wall designs have been used to this effect for thousands of years, and are still used by farmers in many parts of the world today to increase crop yields. Second, retaining walls can also be used to create a water barrier, preventing water runoff from continuing to trickle down a slope towards a house. This can help prevent indoor flooding, and when used strategically, diverted rainwater can also be used to water lawns, gardens and flowerbeds. Finally, retaining walls can add to the ambience of your yard. They provide excellent informal seating, and can be used to demarcate space in your back yard, creating “sections” for socializing, working, and playing. Broadly speaking, retaining walls can be grouped into two main types: structural walls, and ornamental walls. As the name implies, structural retaining walls are functionally necessary to prevent the problems associated with erosion and water runoff. While they are usually needed on properties with sharp slopes, some gentle slopes can even create these risks. If you’re not sure whether or not you need a structural retaining wall, it’s a good idea to get professional advice. A base, which should be set below ground level. The taller the wall, the deeper its base should be. Backfill, or dirt placed behind the wall to provide structural support. A drainage system for guiding rainwater and water runoff to a suitable area. A specific height, which will determine how much weight the wall can hold and how much reinforcement it will require. The experienced landscape construction professionals at Mirage Landscaping are here to help you determine the retaining wall size, shape, and style that best suits your specific needs. Mirage Landscaping proudly offers excellent landscape construction services, including retaining walls, patios, fences, and more. Our experts are here to help you enjoy better privacy while making your property more beautiful and enhancing its value. Our landscape construction services are affordably priced, and generate great results that last and last. For examples of our work, please consult our portfolio of successfully completed past projects. 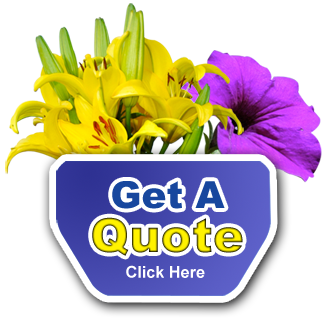 Then, get started by requesting a fast, free quote. And remember: Mirage also offers a complete suite of affordably priced lawn care and property maintenance services for both residential and commercial customers.